UP Cinema, a duly recognized college and university-based film organization in the University of the Philippines (Diliman, Quezon City), will be having its 8th Piling Obrang Vidyo (POV) on December 9, 2011 to be held at UP Cine Adarna in Diliman, Quezon City. POV has proven to be a worthy grassroots for our country’s budding filmmakers. 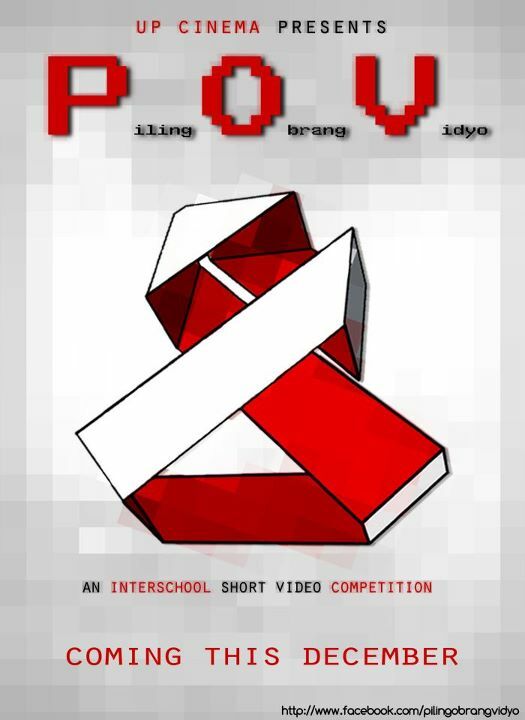 The event is an annual inter-collegiate short film competition (shot on video) where students from various universities and colleges around the Philippines will compete and showcase their fresh and revolutionary artistry with their best short films. An average of 400 people are expected to attend to watch films made by students that will be shown on the big screen for the first time. Only one (1) winner will emerge victorious in each category: Narrative, Experimental, and Documentary. Tickets are at P80 each. This event is made possible by Optima Digital and Nikon Philippines.